The Garbage disposal is a common device which is used in every home these days. It helps to cut and crush the garbage that makes it easier to store and throw it away. However, there are many people who have complained that their garbage disposal is not working properly. No doubt that it has some of the sharpest blades but once there is something stuck in the machine it will not be able to work. That is why maintaining your garbage disposal is very important, and Pardue Plumbing is up for the task. If you have noticed that your garbage disposal is not working properly it is better that you hire experts to repair the machine before it is too late. We are here to provide you the best garbage disposal repair services. However, first it is important for you to know the reasons why your machine is causing such issues. On the off chance that you turn on the switch and your garbage disposal does not create any sound, at that point, it is likely overheated due to overfilling and as a result, it will be tripped off immediately. The initial step is to look under the device and find the reset button. If nothing happens on pushing the button, find your circuit box and check whether a breaker has been tripped or not. This is a typical issue and something that may be done individually. But if it has some serious issue, then we are here to offer the best services in this regard. In the event that the garbage disposal is starting but still it is not working then there is quite a chance that it is jammed. In this situation, never put your hand down into the channel or into crushing chamber. We have a team of experts who have been dealing with these issues for many years. They will easily handle the task. 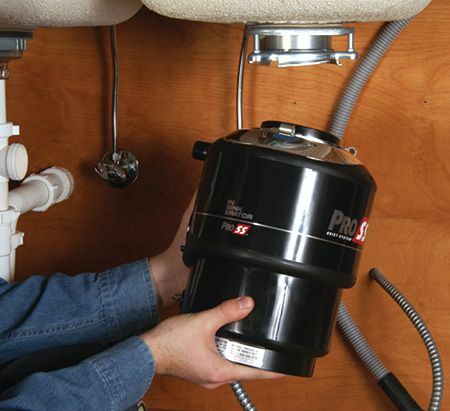 There is also a big problem that can occur in the garbage disposal which is leaking. Do not try to fix the problem yourself because you may not have the proper tools and training. It is better that you hire a professional plumber to handle this situation. Despite all the problems and repairs, your garbage disposal may have power issues. In this case, properly check that garbage disposal is getting the enough power from source or not? If not, then check that the power plug is perfectly fitted into the socket. If it does not get fixed by all means, then it requires professional assistance, which is amazingly offered by our trained and experienced plumbers. So, consider all the above-described issues and their fixings and contact us if you want the best solution for these problems. We are here with the best garbage disposal repair services. Our experts will assure to repair the machine with such perfection that you will not have to deal with the same issues again.